Editor/Author Logan, Peter Melville, George, Olakunle and Hegeman, Susan, et.al. 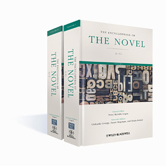 An advanced reference resource, The Encyclopedia of the Novel offers authoritative accounts of the history, terminology, genre and theory of the novel, in over 150 articles written by leading scholars in the field. - Written by an international cast of leading scholars, overseen by an Advisory Board of 37 specialists - Entries explore the history and tradition of the novel in different areas of the world; formal elements of the novel (story, plot, character, narrator); technical aspects of the genre (such as realism, narrative structure and style) as well as subgenres, including the bildungsroman and the graphic novel; theoretical problems, like definitions of the novel; and topics in book history and the novel's relationship to other arts and disciplines.